Apothica.com sells a wide range of beauty and skin care products from Hourglass Cosmetics, Becca Makeup, and many other fine companies. Apothica offers the best products and even offer a 115% price match guarantee and their return policy is great. Hourglass Cosmetics makes a full range of products, including hydrating lip stick, corrective concealers, and anti-aging foundation. Hourglass Blush Duo gives your cheeks natural-looking contour and highlight. Hourglass Extreme Sheen Lip Gloss leaves your lips drenched in a glassy shine while Titanium Dioxide and antioxidants protect from damage.So would you like to give them a try? Enter my contest. Thanks to the folks at Apothica, One winner (18 yrs or older) will receive a $50 Apothica Gift Card, which can also be spent at SkinCareRx or SkinBotanica. Follow my blog via GFC and go to Apothica.com, then tweet something about Apothica (must leave the link to the tweet). Follow Apothica on Twitter. Please leave user name. 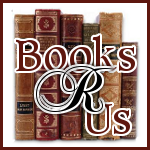 Like Books R Us on Facebook. Please leave user name. Blog about a brand you like from Apothica and link to Apothica (5 Entries) Please leave blog link to be counted. Contest ends April 12th at 11:59pm Eastern. Winner will be chosen by Random.org and will be notified by email. The winner will have 48hrs to respond or a new winner will be chosen. Hi Melissa. Thank you for participating in the Get Wired Blog Hop! I would like to buy Ole Henriksen Nurture Me Creme from Apothica. I love that they have the Clarisonic PLUS Pink Skin Care System!